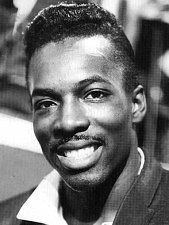 Wilson Pickett, born in Prattville, Alabama on March 18th 1941, died January 18th 2006 of a heart attack. One of the greatest souls singers of all-time, there may seem to be little connection with Elvis Presley. However at the peak of his success in the mid-sixties the "Wicked Pickett" caused similar controversy to Middle-America as Elvis had done in the fifties. Not only that but Wilson Pickett perfected his soul-style only after relocating to Memphis. Wilson Pickett's classic ‘In The Midnight Hour’ was cut in Memphis’ Stax Studios and in 1967 Pickett had a very fruitful relationship with Chips Moman at ‘American Studios’ two years before Elvis’ dynamic ‘Suspicious Minds’ sessions. Quoting writer Kevin Phinney. .
"When Wilson Pickett's ‘In The Midnight Hour’ hit the charts in June 1965, rock 'n' roll was little more than a decade old. Worried parents continued to hope the furore would prove a passing tad, while fearmongers publicly decried the corrupting influence of "jungle music" from podiums and pulpits around the country. "The Wicked Pickett" was the personification of many adults' worst nightmares, and ‘In The Midnight Hour’ made real their most secret dread. Threats to conventional morality were manifold. For starters, Wilson Pickett was one of the handsomest men ever to clutch a microphone. Worse, he was suave, debonair. Compared to tile competition in his native America, those letter-sweaterclad lads barely out of their teens, Pickett was easy to spot - a Lothario among; a gaggle of Andy Hardys whose voices hadn't finished changing." Considering that by 1965 the once dangerous Elvis was well into his stream of "family-safe" sixties travelogue movies, this made Wilson Pickett even more threatening. It wouldn’t be until 1968 that Elvis would don the leather—suit to reclaim his power & prestige. Listening to Pickett’s American Studio’s ‘I’m In Love’ you can hear the loving ache similar to Elvis’ ‘Long Black Limousine’ or ‘Only the Strong Survive’. Of course that "soulful sound" & that Memphis Horns funk have the same inspirational groove since both singers recorded with the same American Studio band. In fact Elvis’ ‘Only The Strong Survive’ was composed by Gamble & Huff who also wrote & produced some of Pickett’s greatest songs. Pickett’s vocal delivery of the gritty soulful-rasp is also similar to Elvis’ American Studios vocals, where an on-coming bout of laryngitis caused Elvis to record an astoundingly gritty session of soulful tracks in January 1969. Comparing Elvis’ ‘Wearin’ That Loved On Look’ or ‘Long Black Limousine’ with anything Pickett recorded in the same period shows that the pair could have easily teamed up to form a duo to outdo the formidable "Sam & Dave" (‘Soul Man’ etc). Now just imagine that live on stage!? While ‘Mustang Sally’, ‘In the Midnight Hour’ plus ‘Land Of 1000 Dances’ are Pickett’s seminal work Elvis fans should also check out Pickett’s stunning version of The Beatles ‘Hey Jude’. 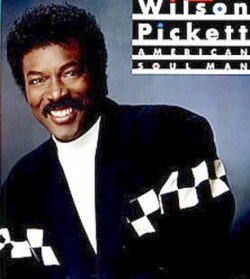 Recorded at American Studios in 1968 Pickett’s version of 'Hey Jude' went Top Twenty in the charts. The similarity in arrangement & even vocal styles shows what Elvis was striving for - had anybody bothered to get Elvis the proper lyrics in time and given more time for the band to work out the final arrangement. Elvis’ half-finished version was scrapped, only to be released on the contract filler ‘Elvis Now’ in 1972. Pickett experienced a career renaissance in 1991 with the release of the film ‘The Commitments’, which revolved around an Irish band that idolised him. Pickett was inducted into the Rock and Roll Hall of Fame in the same year. His Grammy-nominated last album, 'It's Harder Now', was released in 1999. In December 2004, "Mustang Sally" and "In the Midnight Hour" were included in Rolling Stone's list of "The 500 Greatest Songs of All Time." Wilson Pickett was one of the world's greatest singers and was still one of the funkiest live performers. Long-Live the "Wicked Pickett". Below is a short list of Wilson Pickett’s best songs. Read Peter Guralnick’s marvellous book ‘Sweet Soul Music’ for the complete story. 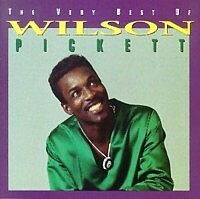 Check out Wilson Pickett's Musical legacy at Amazon.